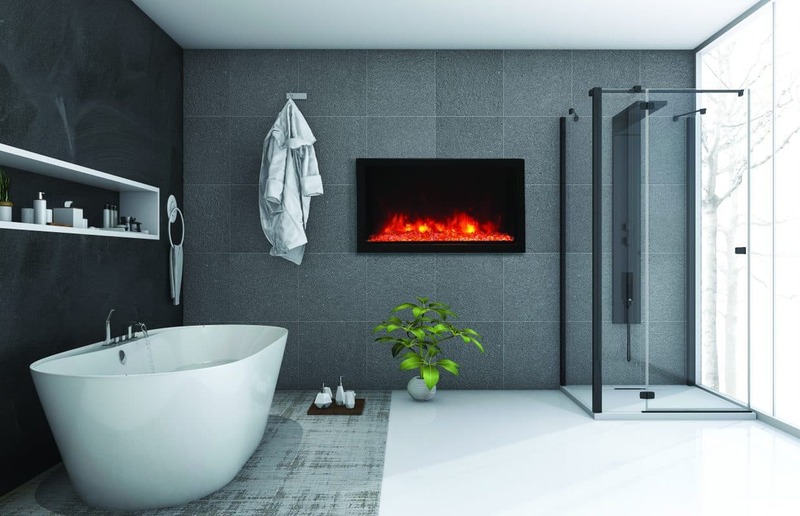 Linear, with the option of 3-sided glass. 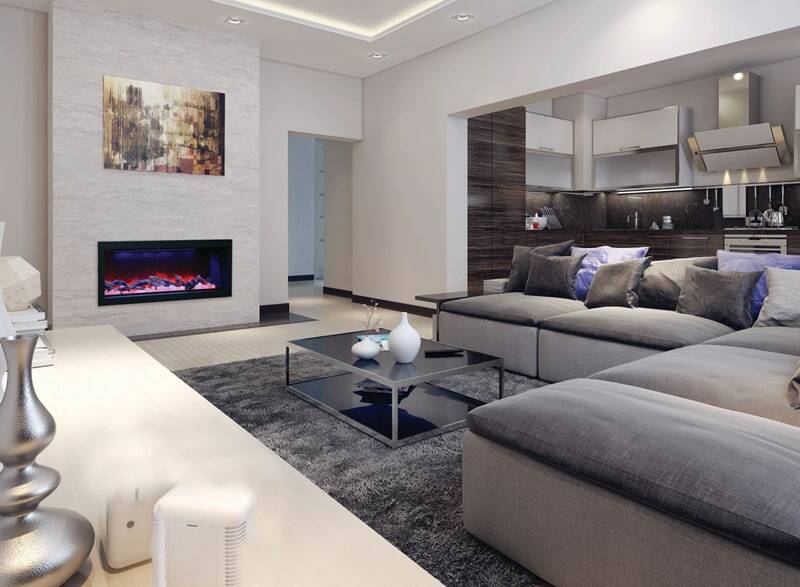 Linear, with the option for frameless installation, and more media options than BI-SLIM. 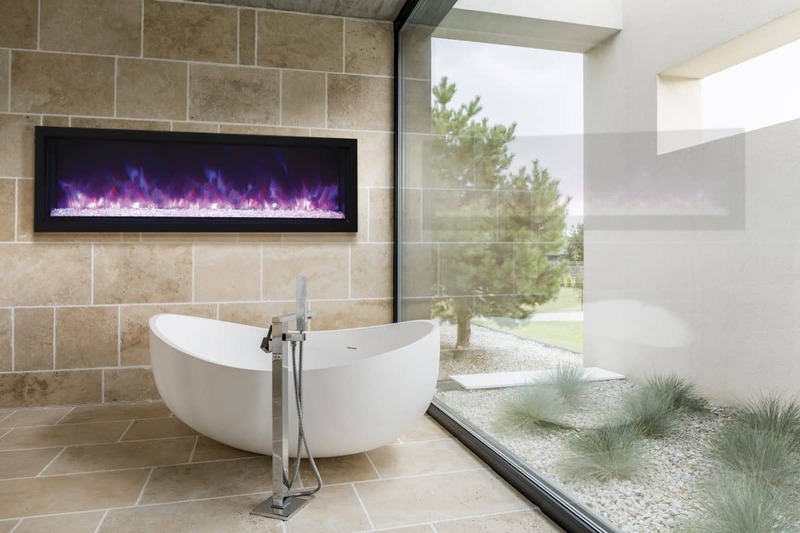 Linear with the option for frameless installation. Linear, with a glass frame. Mount in the wall or on the wall. 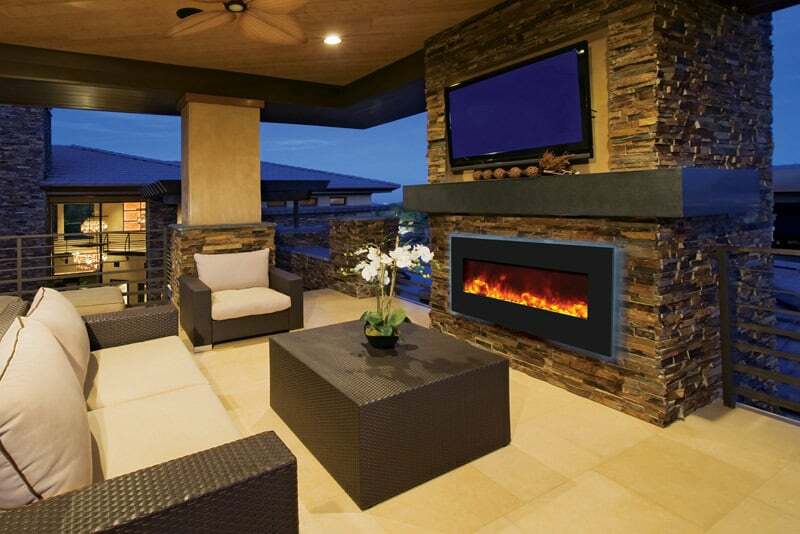 Flush and semi-flush fireboxes, with logs or crystals. 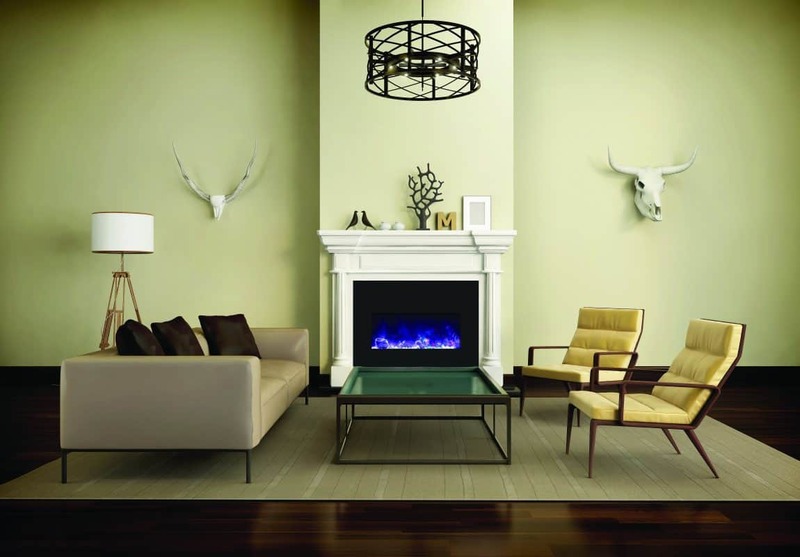 Inserts with large frames to cover gaps when retrofitting into wood-burning fireplaces. 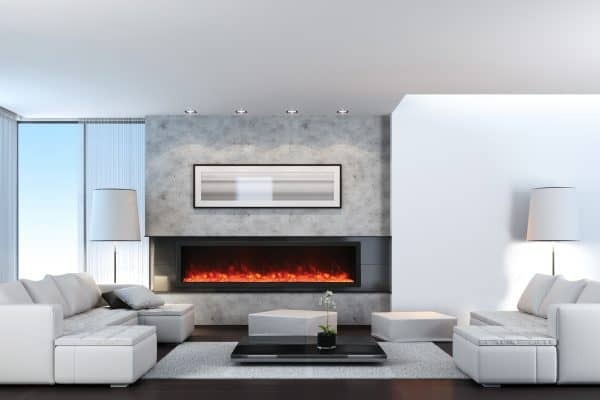 At Stylish Fireplaces, we work to provide you with electric fireplace options that are not only functional but will fit with the design and décor of your room. 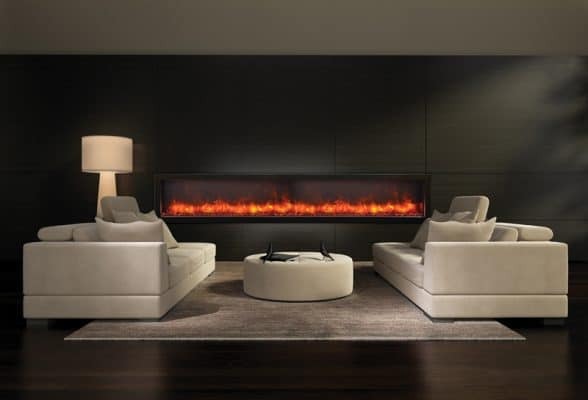 That is why we are proud to offer electric fireplaces from Amantii Fireplaces. 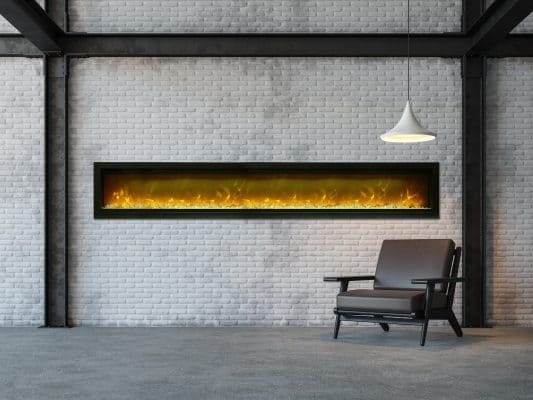 With over three decades of experience in the industry, Amantii carries a product line that is sure to have a fireplace to fit every style. 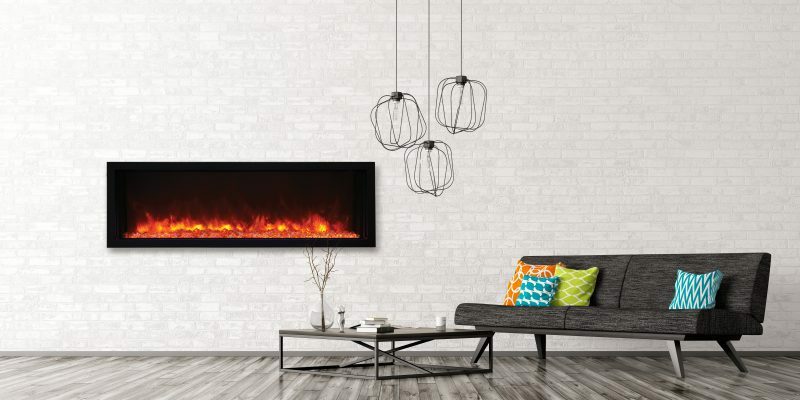 Amantii knows that consumers have different tastes when it comes to electric fireplaces and they put their experience to work to develop a product line to provide something for everyone. 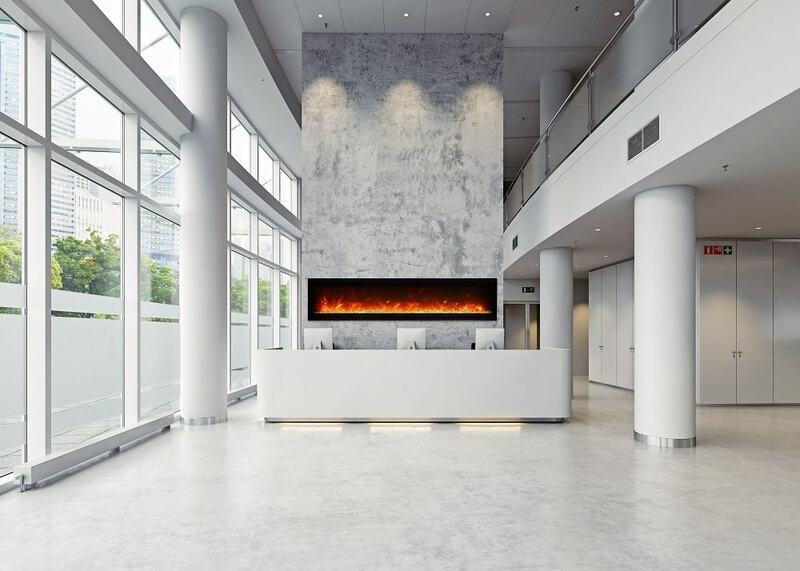 All of their fireplaces are manufactured in facilities that are exclusive to Amantii, which allows you a product that is unique to the industry. 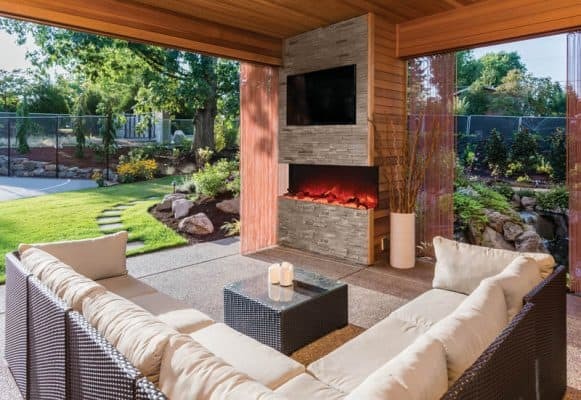 They offer many design options, from traditional to contemporary, and wall-mounted, in-wall and even outdoor electric fireplaces. 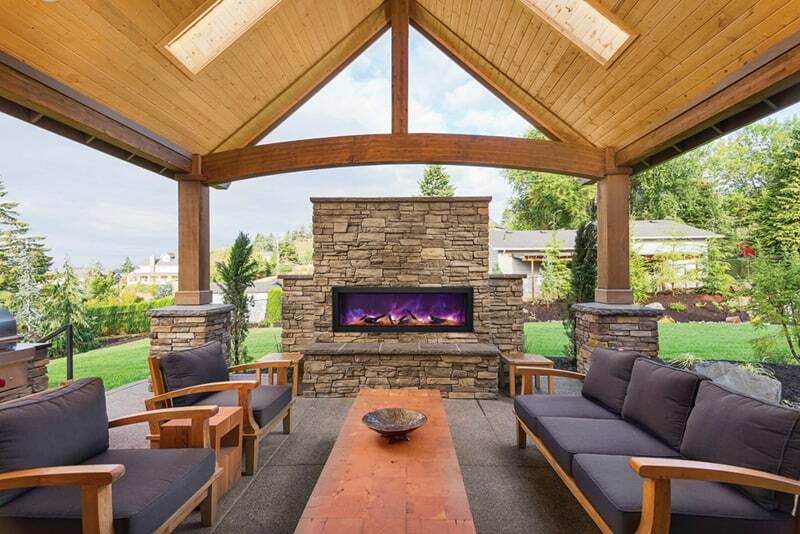 Amantii Electric Fireplaces has previously won the Vesta Award and back-to-back Attendees Choice Awards, at HPBA, the hearth industry’s annual conference, recognizing them for their innovative use of technology and design. Some days you might prefer the look of traditional orange and yellow flames; other days you might prefer the more contemporary look of blue flames. Now Amantii lets you choose. 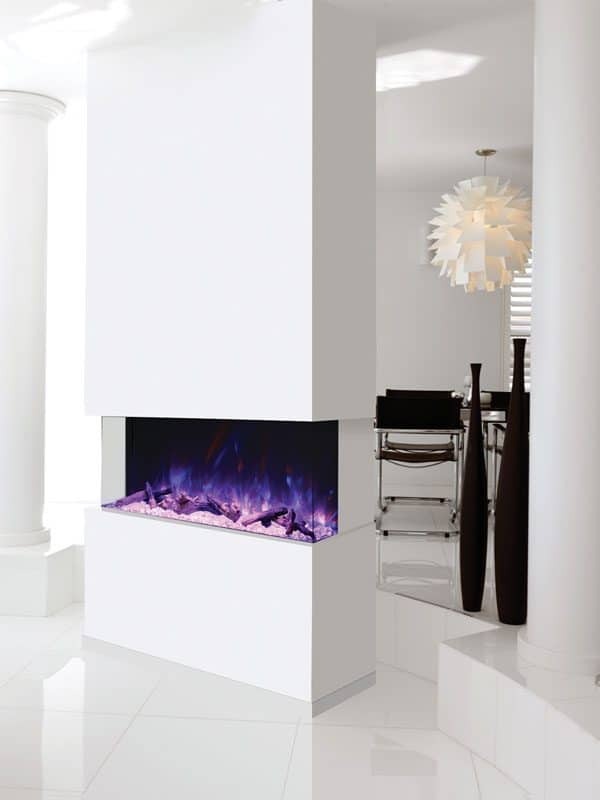 If you want the freedom to choose the look of your flame at a moment’s notice, Amantii offers units with a state-of-the-art flame controls. 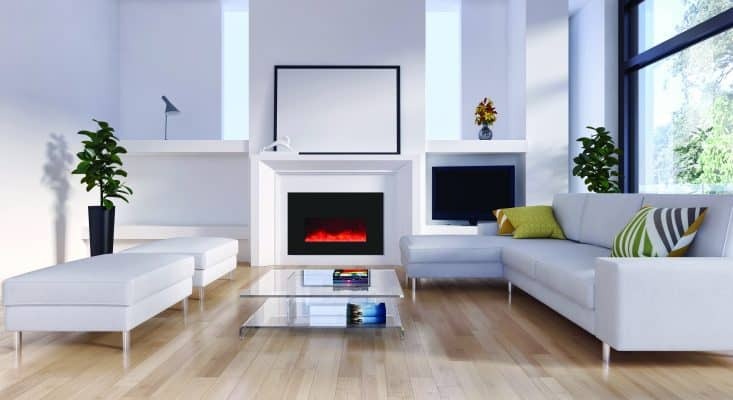 You can easily switch from yellow and orange to colors like blue, purple, rose and violet, all with the click of a remote. 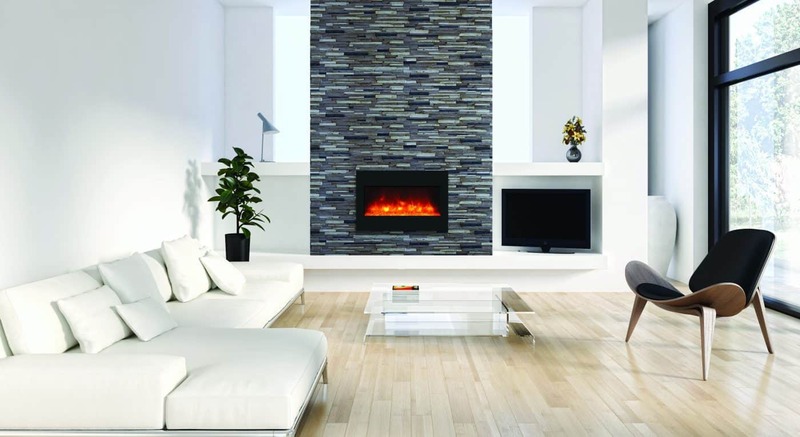 Amantii offers a wide variety of electric fireplace styles so you can choose the one that fits your needs. 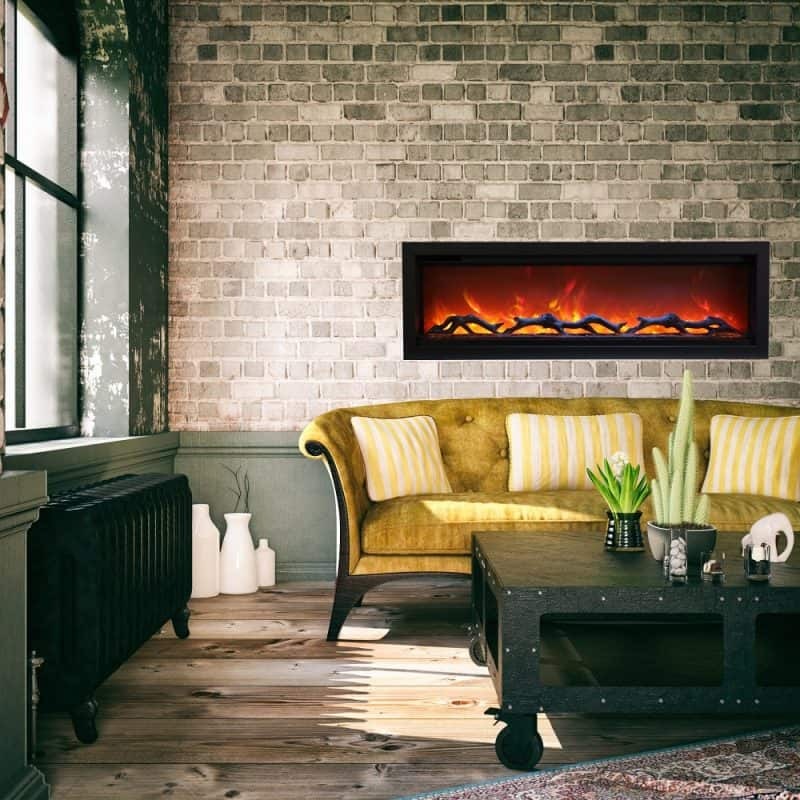 Built-In/Flush Mount/Wall Mount – These electric fireplaces have the option of being flush-mounted into your wall or being mounted on your wall, with the included brackets. 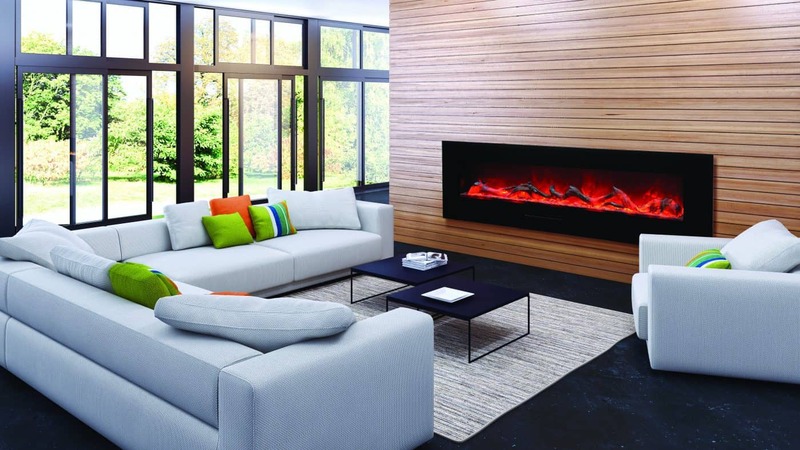 Not only can you enjoy the warmth of an electric fireplace, but with the simple click of a remote, you can change your flame colors from the traditional yellow and orange to more contemporary colors. 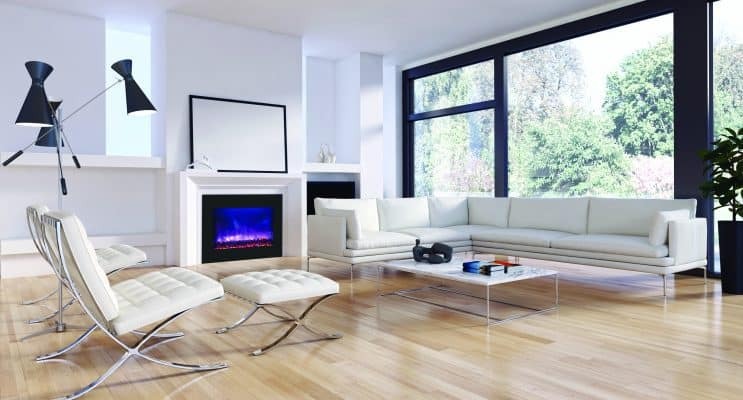 This style comes standard with a black glass surround but does offer white glass as an option as well. 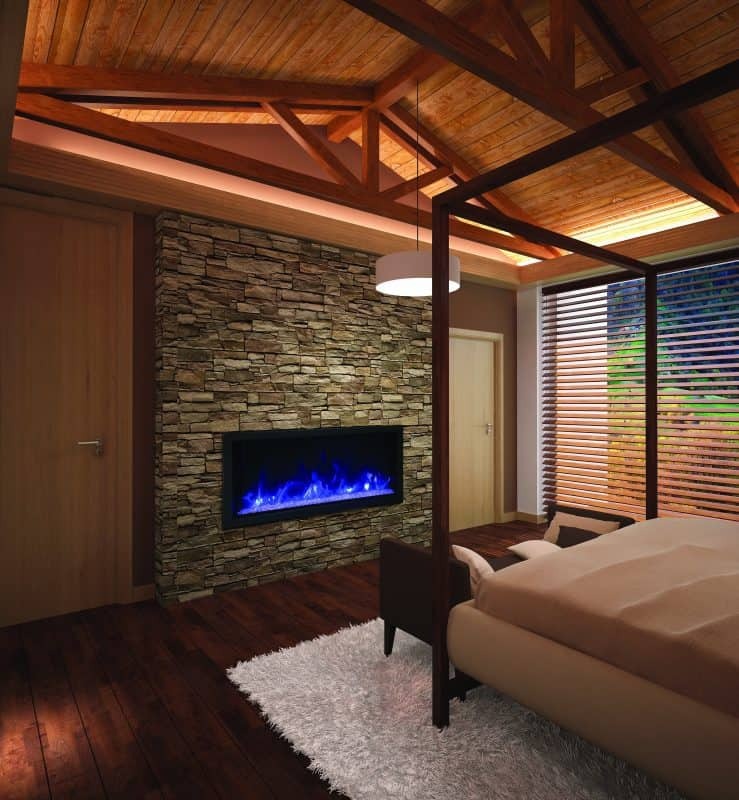 Zero Clearance Electric Fireplaces – Amantii’s Zero Clearance fireplaces are the perfect fit for new construction or remodel projects. 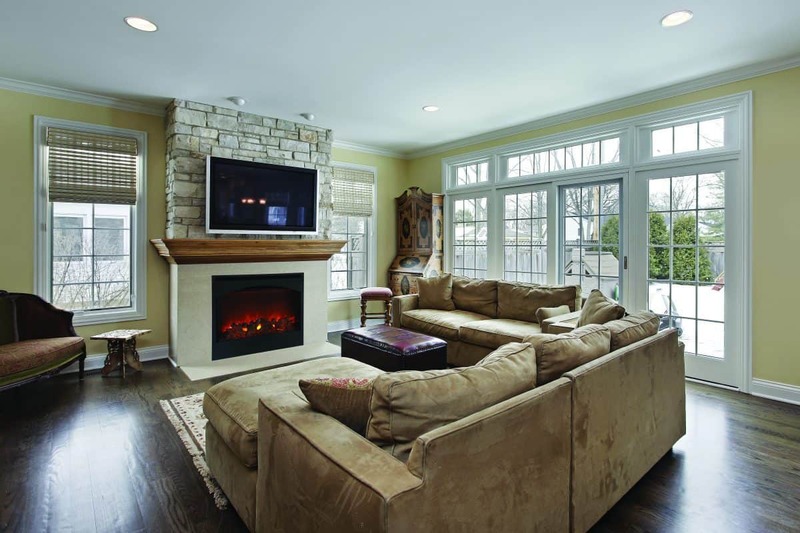 They come hard-wire ready and thermostat hard-wire ready, yet still include a plug in alternative. 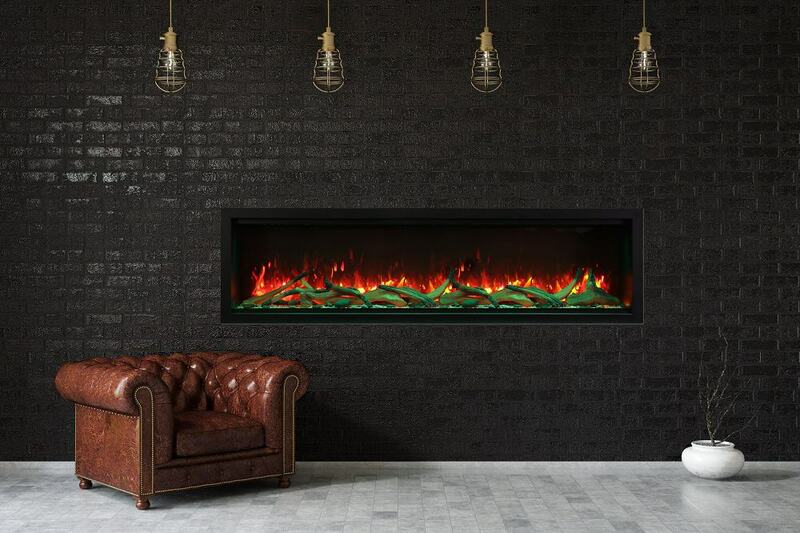 You can create the look that fits your home décor by choosing from the LED ember log set, and any combination of the included EMBER or ICE decorative media. 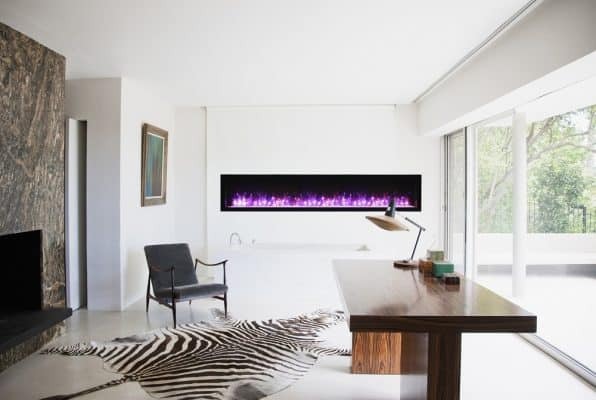 For those looking for an electric fireplace for a small room, Amantii offers the perfect solution with a Zero Clearance vertical option. 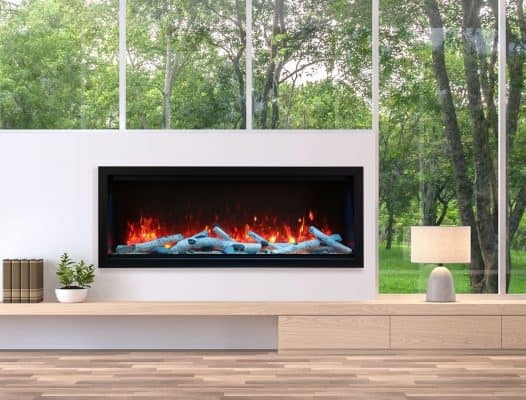 Panorama Series – Amantii Electric Fireplaces’ Panorama Series gives you the ultimate in flexibility with units that can be installed indoors or outdoors. 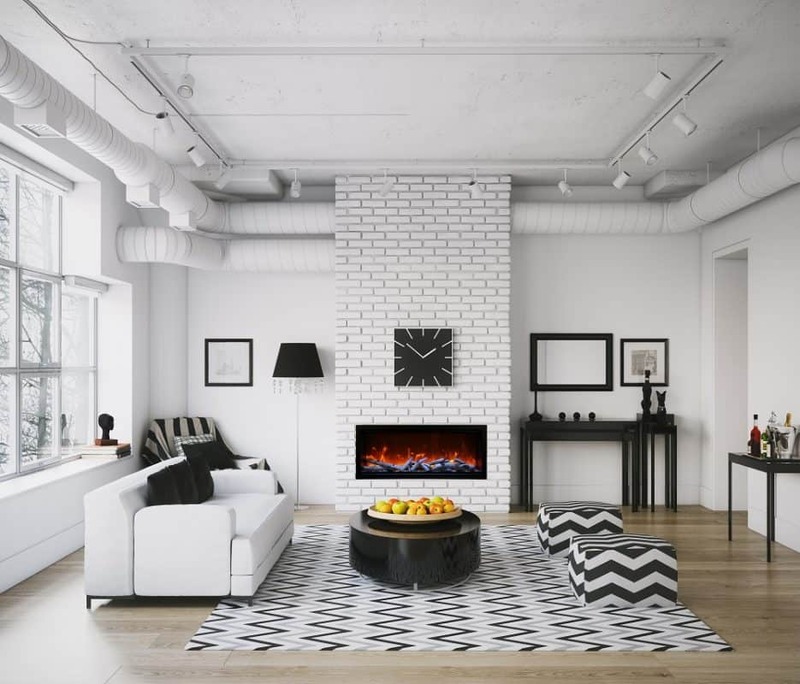 You can choose from deep or slim options to find the fireplace that fits your space. 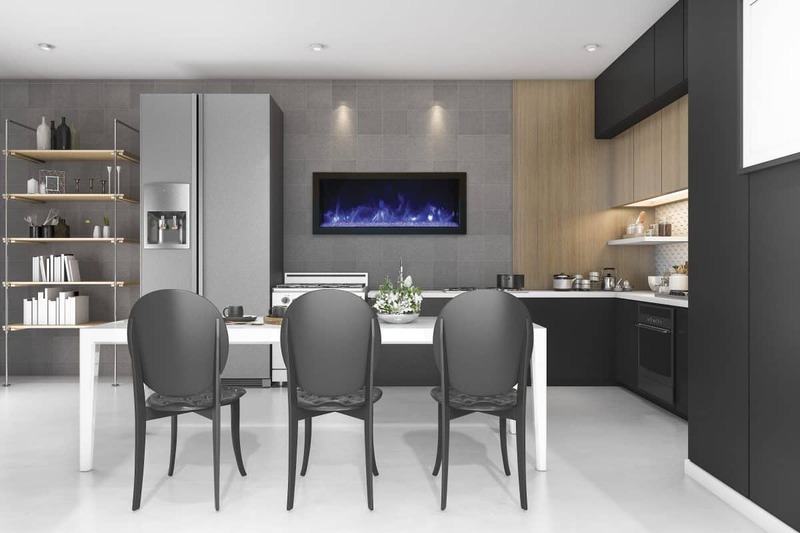 They include media options of large glass nuggets, clear and blue diamonds for the slim option or large glass chunks, clear and blue diamond fire glass, and an 11 piece log set in the deep models. 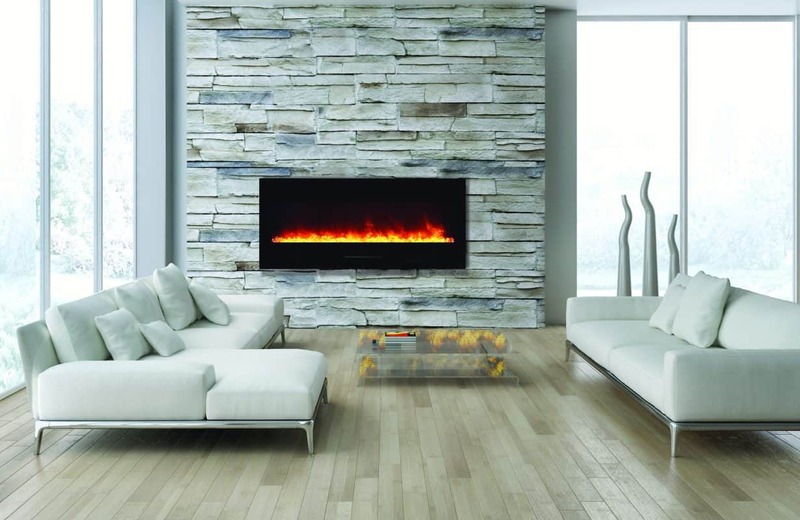 Insert Series – If you are ready to update your existing wood or gas fireplace you will want to take a look at the Insert Series by Amantii. 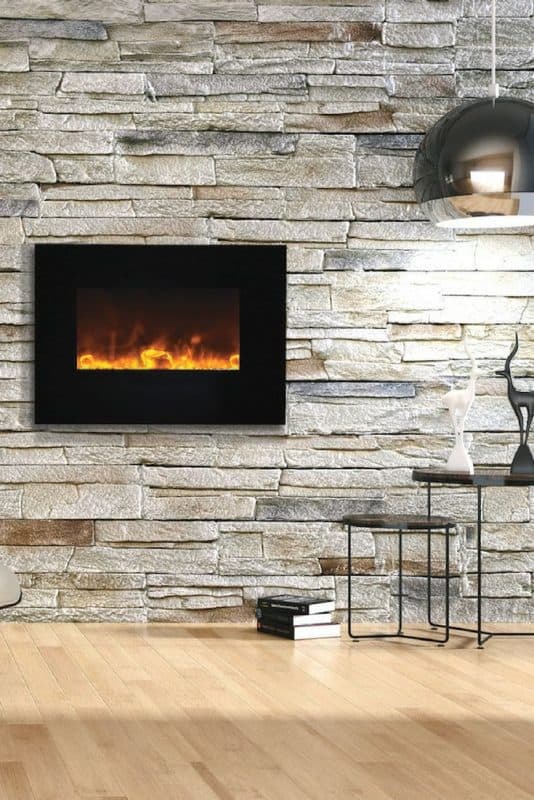 You gain all of the great features of an Amantii electric fireplace while maintaining the look of your current setting. 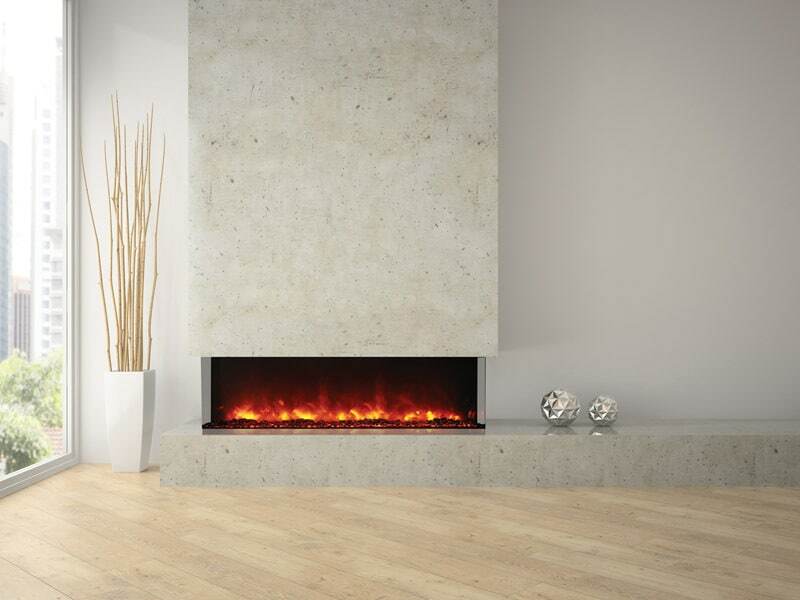 They offer 3 popular sizes and each insert comes with 4 leveling legs to make installation a breeze. 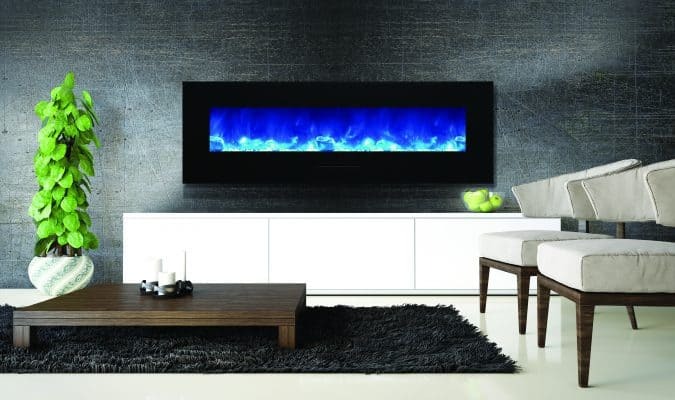 Each insert comes with not only a log set but a choice of ICE or EMBER Decorative Media. 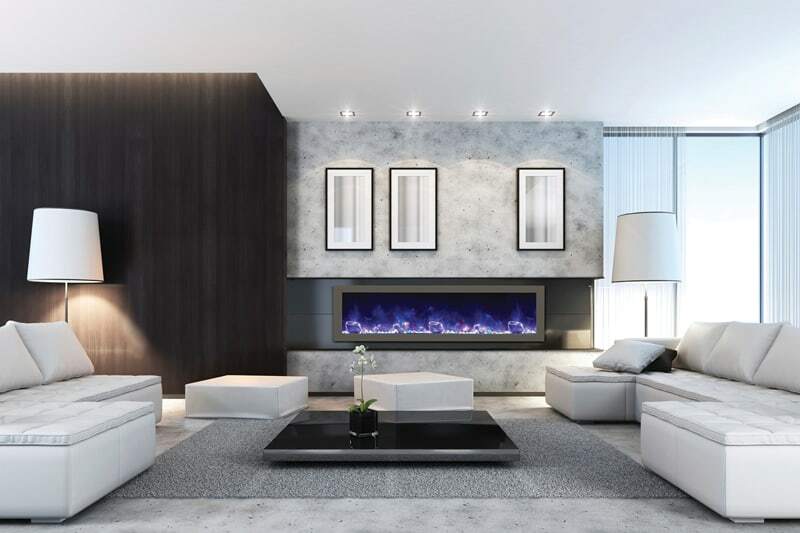 With options abounding there is no need to look further than Amantii Electric Fireplaces when choosing the unit that suits your needs. 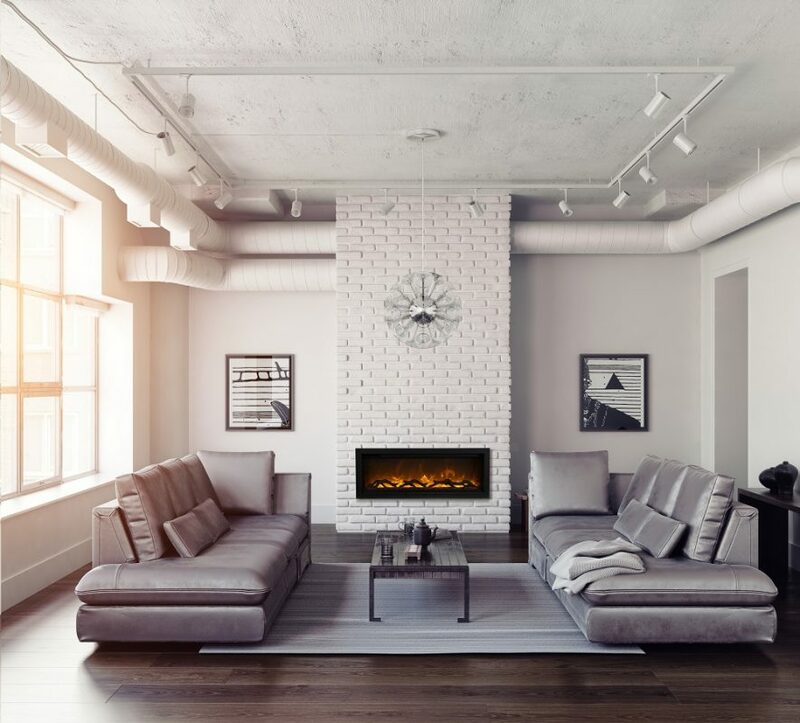 With easy installation options from plug-in units to fireplaces that come hard-wire ready, you will be relaxing in your home with your new Amantii fireplace in no time. 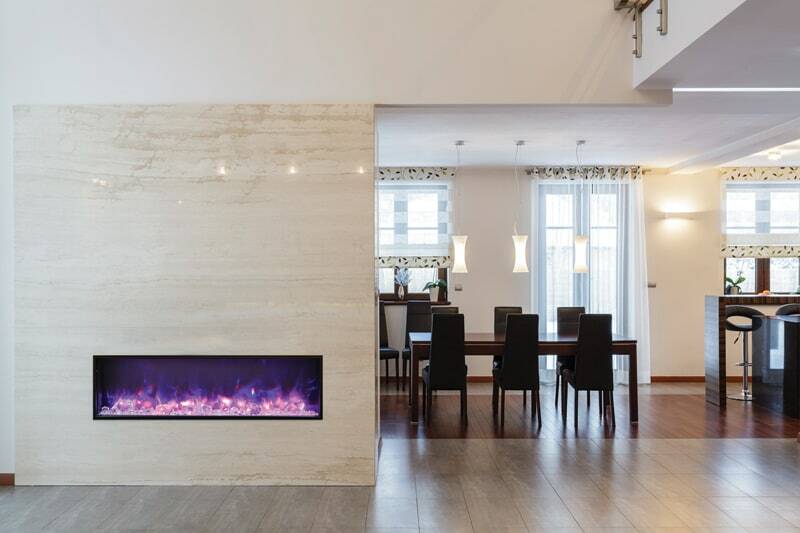 The warm atmosphere created by a fireplace cannot be replaced, and whether you like the heat on or off, Amantii can provide you with the atmosphere you are looking for.